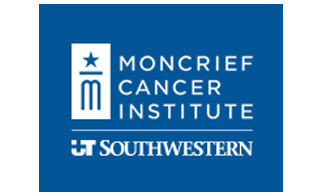 Moncrief Cancer Institute is committed to developing and maintaining collaborations and partnerships with cancer service organizations and healthcare providers through community outreach. Our community outreach programs include cancer screenings, health fairs, and educational forums for patients, caregivers, and healthcare professionals. In addition, Moncrief welcomes the opportunity to speak to your organization about our programs and services. Moncrief Cancer Institute collaborates with physicians, medical facilities and community agencies to provide cancer support services to patients and survivors. We provide prevention and early detection materials free of charge to physician and oncology offices. For more information regarding our outreach programs and events, email us or call 817.288.9878.